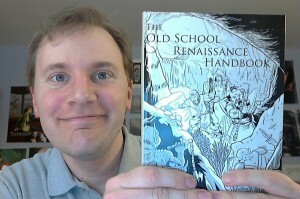 Would you like to own a hardback copy of the Old School Renaissance Handbook? Would you like the only guide to 16 different old-school rulesets in pressed wood pulp form? This is the only version of the OSR Handbook that includes interviews with Kirin Robinson of Old School Hack, James Raggi IV of Lamentations of the Flame Princess, Jason Morningstar of Dungeon Squad!, and Michael Wolf of Warrior, Rogue & Mage. Even the PDF doesn’t have that. Enter your name and email address below by midnight, Sunday February 24. 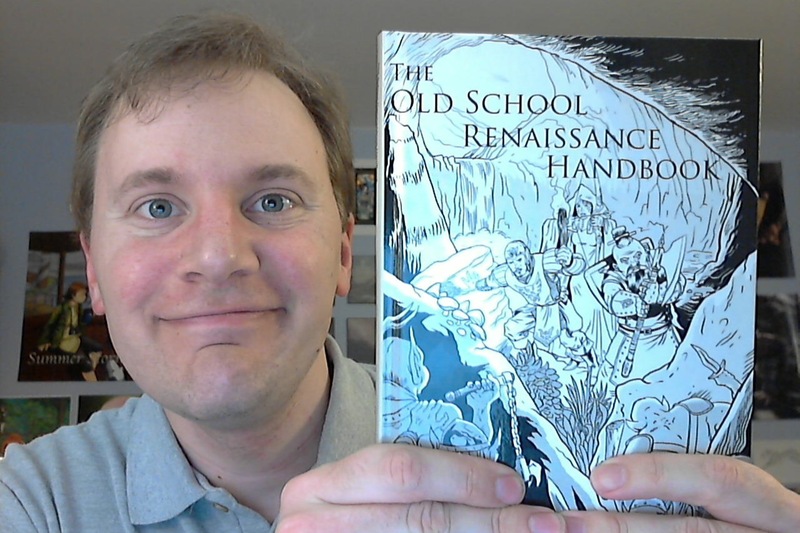 I’ll pick one entrant at random, and will ship that person a hardback copy of the OSR Handbook. Updated to add: Limit one entry per person. I will ship internationally. The link to the OSR Handbook on DriveThruRPG is broken. I mean the link in “Thanks” after filling the form. Hi! That’s really weird; when I click on the link on the “Thanks” form, it goes straight to the right page on DriveThruRPG. Did you get a 404 error?